As you’re most likely aware, the first trailer for Marvel Studios’ Guardians of the Galaxy is officially out. It’s full of interesting moments and even a catchy song. However, there are some details that you may not have noticed amongst the fast-paced trailer (below). 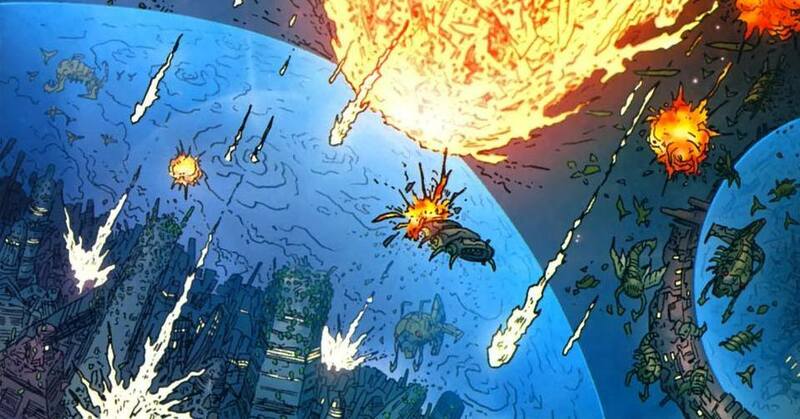 The planet of Xandar, homeworld of the Nova Corps, is mentioned in the trailer. Rhomman Dey (John C. Reilly) says that the Guardians of the Galaxy were picked up on Xandar. While Xandar’s presence isn’t a surprise, since the Nova Corps is in the film, it is still nice to see it mentioned in the trailer. 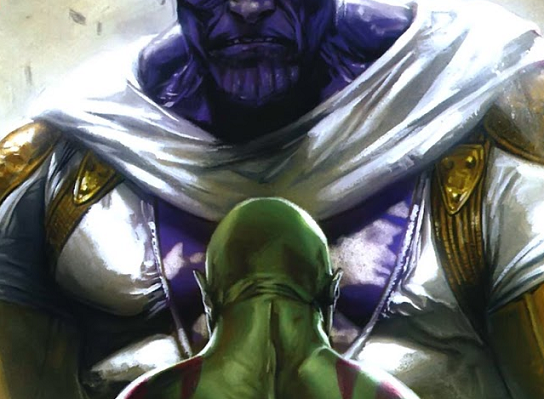 In the comics, Drax’s (Dave Bautista) only life goal was kill Thanos. Thanos murdered his family, and Drax wanted revenge (not to mention Thanos’ own family wanted to use Drax to kill him). In the trailer, Rhomman Dey says that Drax’s family was killed and so Drax has been on a rampage throughout the galaxy, looking for vengeance. Will he be going after Thanos? Only time will tell. Regardless, the mention of his back-story is a great thing for us fans. When Rocket (Bradley Cooper) is in the line-up and Rhomman Dey is talking about him, the screen shows that one of Rocket’s associates is Llyla. In the comics, Llyla was a sort of Otter creature who had a romantic relationship with Rocket on their home planet of Halfworld. There is no confirmation of whether or not she will actually appear in the film, but this nod to her is still great. As was just mentioned, Rocket is from Halfworld. The screen, when Rocket is in the line-up, shows Halfworld as his home planet. I doubt that it will be talked about, but this is another great nod. Not only does the screen list Groot (Vin Diesel) as one of Rocket’s associates, but Rhomman Dey mentions that Rocket and Groot have traveled together. So it seems that they won’t be meeting for the first time when they meet everyone else. An interesting thing about this, though, is that Rocket is not listed as one of Groot’s known associates, for whatever reason. While Ronan the Accuser (Lee Pace) is not shown from the front, he is shown from the side. In one hand he is holding (what looks to be) Drax and in the other hand he is holding the Universal Weapon. In the comics, the Universal Weapon is not just an ordinary war hammer. It is capable of many powerful functions, ranging from energy blasts to rearranging matter. Hopefully Ronan and the Universal Weapon will be shown in full in the next trailer. 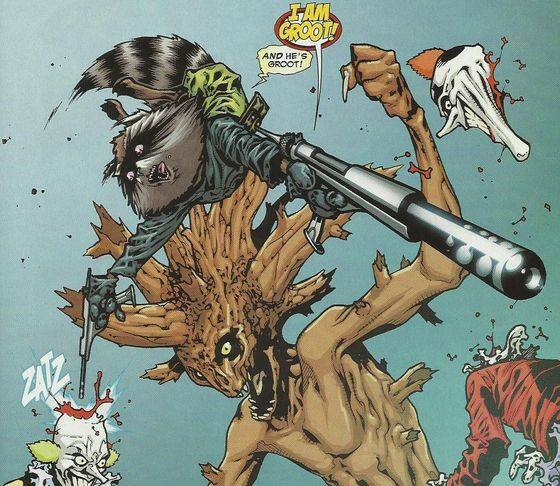 Excited for Guardians of the Galaxy? Notice any other interesting details? Let us know in the comments! Like it? Share it to help keep Nerdy Minds in business! This feature written by Lance Mealer of Morphinominal, formerly of Marvel Cinematic Universe, and brought to you by Nerdy Minds Magazine (clicking these links will take you to the respective Facebook pages). You can also follow Nerdy Minds on Twitter, or even subscribe to our page to have each new post delivered straight to your inbox!